Hong Kong singers Eason Chan and Joey Yung win the Most Popular Male and Female Awards again at the Jade Solid Gold Awards ceremony in addition to winning Best Male and Female Singers in 2007′s Ultimate Song Chart Awards Presentation earlier this year. Samsung, the official 2008 Olympics wireless sponsor, signs a contract with Korean singer/actor Rain (Bi) to sing the themesong for Samsung’s Anycall’s mobile marketing campaign. This dispels any previous rumors that Rain will sing the official song for the Olympics. Barbie Hsu (Big S) and Vic Zhou confirmed break up after a relationship that began in 2005. 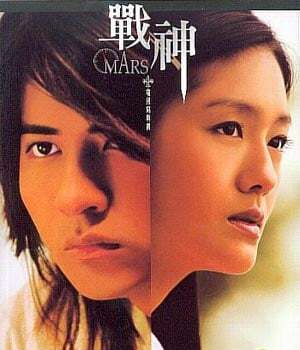 The ex-couple worked together in popular Taiwanese drama hits “Meteor Garden (2001)“, “Meteor Garden II (2003)”, and “Mars (2004)”. Vic and Barbie claim they break up on good terms and will remain friends. Hong Kong actress Ada Choi and Mainland China martial artist Max Zhang finally tie the knot yesterday after a 4 year relationship. It was an emotional moment as Ada walked down the aisle with her father as Max sung the Chinese version of “Emmanuel” while playing the piano. Among the guests were Ada’s estranged gambling addict mom and an HK celebs guest list that included Athena Chu, Jessica Hsuen, Joe Ma, and Monica Chan. Congrats Ada and Max! 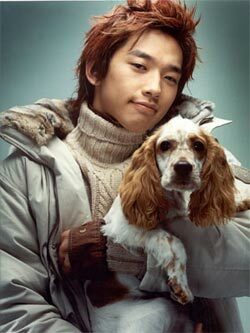 You are currently browsing the Asian Entertainment News archives for January, 2008.